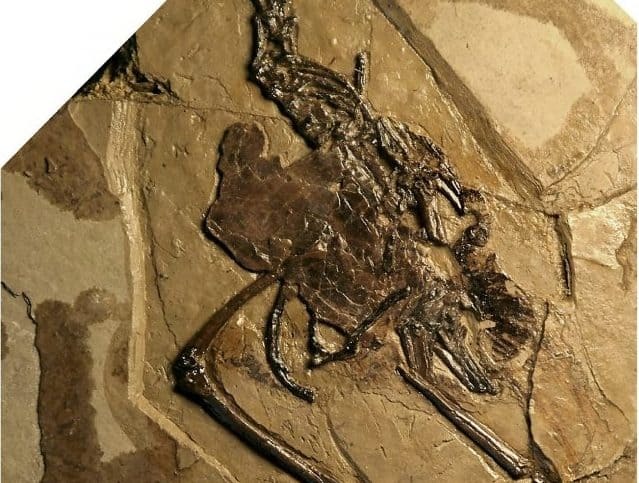 The first ever bird fossil with an egg preserved inside the body has been discovered. 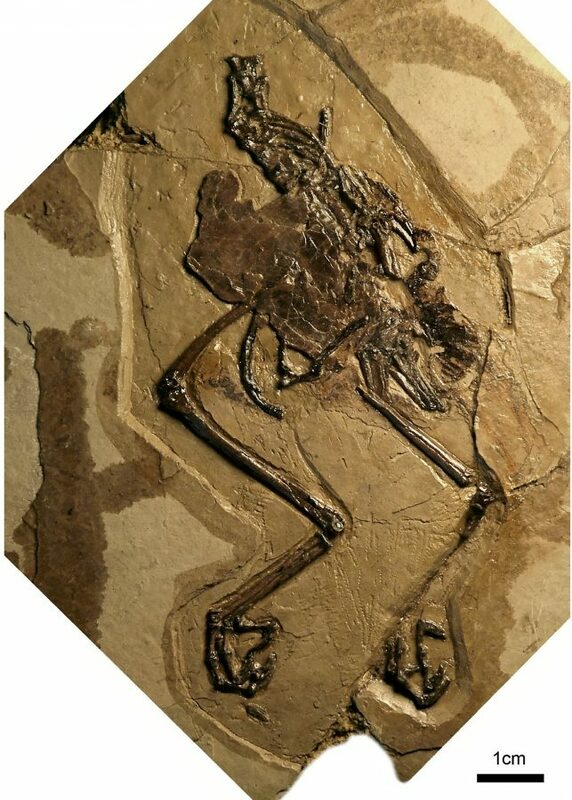 Scientists say that the “incredibly well preserved” find, dating back to the time of the dinosaurs, sheds new light on the reproduction of birds. It belongs to a group called the Enantiornithes – “opposite birds” – which were common all around the world during the Cretaceous Period and lived alongside the dinosaurs. 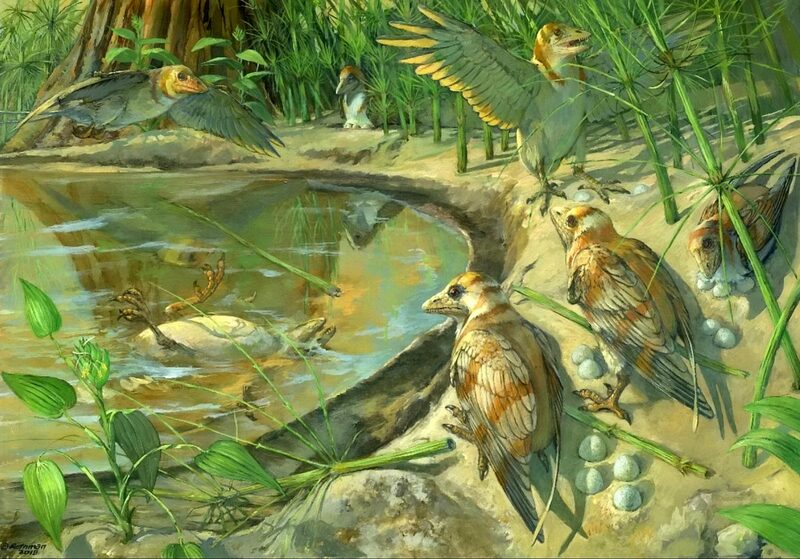 But scientists discovered a further tragic secret – the egg may have killed the ‘mother bird’. The discovery was made by a team of scientists led by Dr Alida Bailleul and Dr Jingmai O’Connor from the Institute of Vertebrate Paleontology and Paleoanthropology (IVPP) of the Chinese Academy of Sciences. Dr Bailleul said: “The new fossil is incredibly well preserved, including the remains of an egg inside its abdomen. “Because the specimen is crushed flat, it was only after a small fragment was extracted and analysed under the microscope that the team realised that the unusual tissue was an egg. “Detailed analysis of the eggshell fragment revealed a number of interesting facts indicating the reproductive system of this female bird was not behaving normally. “The egg shell consists of two layers instead of one as in normal healthy bird eggs, indicating the egg was retained too long inside the abdomen. “This condition often occurs in living birds as a result of stress. “The unlaid egg then gets coated in a second layer – or sometimes more – of eggshell. “This abnormality has also been documented in sauropod dinosaurs, as well as in many fossil and living turtles. “Egg-binding, in which the egg becomes stuck inside the body causing death, is a serious and lethal condition that is fairly common in small birds undergoing stress. Scanning electron microscopy revealed that the cuticle – the outer most protective layer of the eggshell – was made up of very small spherules of minerals. Dr O’Connor said: “This type of cuticle morphology would be expected for birds that partially bury their eggs, as it has already been proposed to be the case for enantiornithines. “Finding this morphology in Avimaia also supports the hypothesis that a cuticle with protective spherules represents the ancestral condition for avian eggs. Some researchers have argued that this tissue, called medullary bone, is present in other bird fossils, as well as some non-avian dinosaurs and pterosaurs. But the research team said some of the identifications were ambiguous. Dr O’Connor added: “Analysis of a fragment of leg bone from the new specimen revealed the presence of medullary bone. “Avimaia is the only Mesozoic fossil in which additional morphological evidence of reproductive activity – i.e. the egg – supports the identification of medullary bone. “The preserved egg allows the specimen to be unequivocally identified as female.